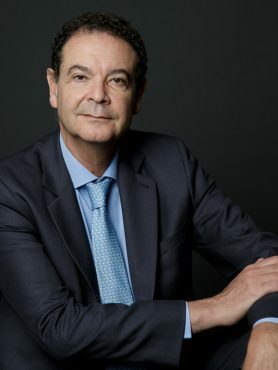 Professor Jean-Paul MOATTI has been appointed President and Director-general of the French National Research Institute for Sustainable Development (IRD) in 2015. Throughout his career, Professor MOATTI has been at the head of many national scientific bodies and was also a member of the national committee of the CNRS and of the governing board of Aix-Marseille University. He has been member of the Advisory Committee for Health Research to WHO Director General (2007-2011), and he has held position as Counselor for Economic and Social Affairs of the Executive Director of the Global Fund against AIDS, Tuberculosis and Malaria (2008-2009). He has been recently appointed by UN Secretary-General Ban KI-MOON among 14 other eminent scientists and experts to draft the 2019 edition of the quadrennial Global Sustainable Development Report (GSDR). Professor Jean-Paul MOATTI is the author of over 350 articles in scientific journals and publications, writing as much in the field of economic and social sciences as in biomedical and public health. Notably, he is co-author of the article published in Nature Medicine in 2003, which demonstrated for the first time not only the virological and clinical feasibility but also the economic feasibility of access to highly active antiretroviral therapies for HIV/Aids in developing countries. Jean-Paul MOATTI is the author of several books, including Le principe de prévention. Le culte de la santé et ses dérives (“The principle of prevention. The cult of health and its excesses”, published in 2009 with the sociologist Patrick Peretti-Watel by Editions du Seuil). Jean-Paul MOATTI was granted the rank of knight of the Legion of Honour in January 2016.